On January 12-15, eight competitors from law schools with accomplished transactional programs gathered at Baylor Law to participate in the law school's latest national competition: The Closer. 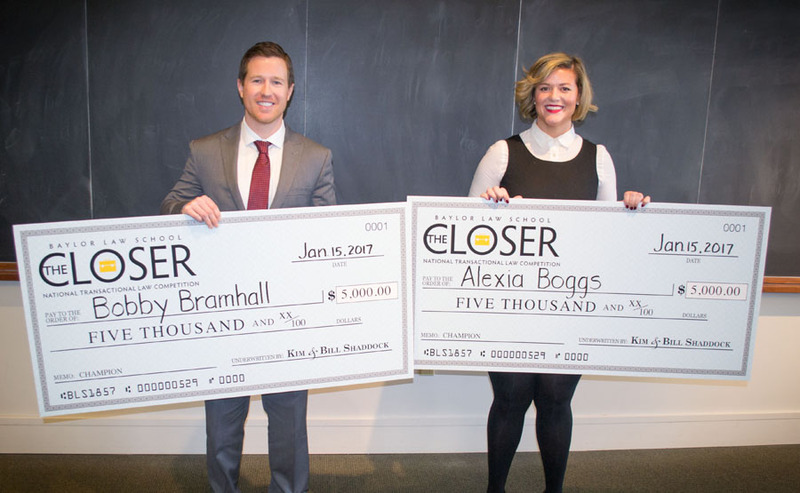 In its inaugural year, Alexia Boggs of the University of Mississippi School of Law and Bobby Bramhall from the University of Tennessee College of Law are the winners of Baylor Law School's innovative transactional law competition The Closer. The Closer is an invitation-only transactional law competition reflecting Baylor Law School's commitment to training practice-ready lawyers. The contest featured a substantial $10,000 prize pool and a chance for the competitors to flex their deal making prowess. Only schools who have previously excelled at the National Transactional LawMeet® were invited to compete. And, unlike other transactional law contests, the details of the problem were only disclosed to the competitors twenty-four hours prior to the first round of negotiations. This tight timeline pushed competitors to identify the legal issues and devise and negotiate solutions that best serve their client's wishes with the efficiency required of lawyers under realistic time constraints. Competitors negotiated a term sheet between Balcones Distilling, L.L.C. (Waco's award winning whisky distillery) and Premier Service Corporation, a fictional hospitality management company proposing to manage Balcones' gift shop and hospitality business. During the competition, the students made a site visit to the distillery, had a meeting with their client, and reviewed a large client file including email correspondence, drafts of contracts, research, and other relevant information in an effort to produce an agreement that satisfied and protected the interests of both parties. Alexia Boggs took home $5,000 for representing the interests of Premier, and Bobby Bramhall took home $5,000 for representing Balcones Distilling. 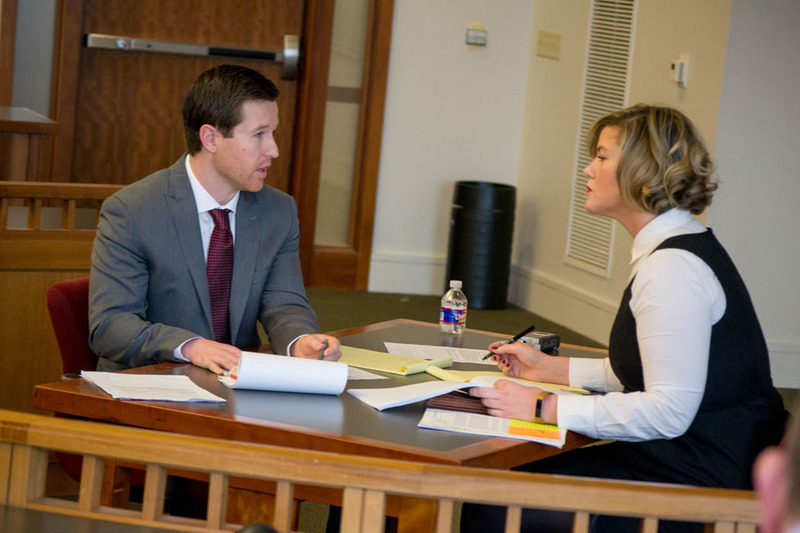 Both competitors earned the privilege of calling themselves Baylor Law School's first Closers. Upon winning, Boggs said, "Winning The Closer was an exciting way to begin my final semester of law school! I had so much fun getting to know the other competitors, our clients, and the wonderful people at Baylor Law who hosted such a unique competition with every detail perfectly thought out." Boggs also graciously thanked the Baylor Law professor who created The Closer and sponsors, saying, "I am especially grateful to Professor Beth Miller for her enthusiasm for transactional law and to those who sponsored the competition!" Bobby Bramhall, co-champion with Boggs, added: "Baylor Law put on a first-class event in every aspect, and we were proud to be named the winners. Professor Krumm and I were honored to represent the University of Tennessee in my home state and I know that The Closer will continue to be a success in the future. Thank you to the Baylor Law family!" "Baylor alumni at Haynes and Boone, LLP are pleased to see Baylor Law School's growing focus on transactional law practice—and Haynes and Boone was especially pleased to have participated as a sponsor for The Closer," said Tom Harris, partner at Haynes and Boone, LLP. 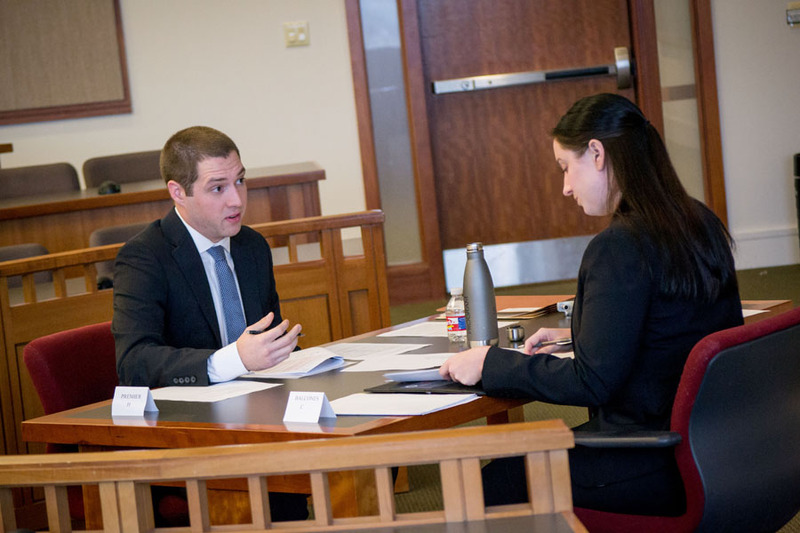 "The competition showcased Baylor Law School's commitment to teaching law students to prepare and to think on their feet (or, in this case, to think and speak while seated and engaged in an unpredictable mock negotiation). Well done, Professor Miller and the rest of the Baylor Law School team," he concluded. For more information about the competition, visit The Closer on Baylor Law School's website, or contact competition coordinator Professor Elizabeth Miller. Established in 1857, Baylor Law School was one of the first law schools in Texas and one of the first west of the Mississippi River. Today, the school has more than 7,400 living alumni. It is accredited by the American Bar Association and is a member of the Association of American Law Schools. 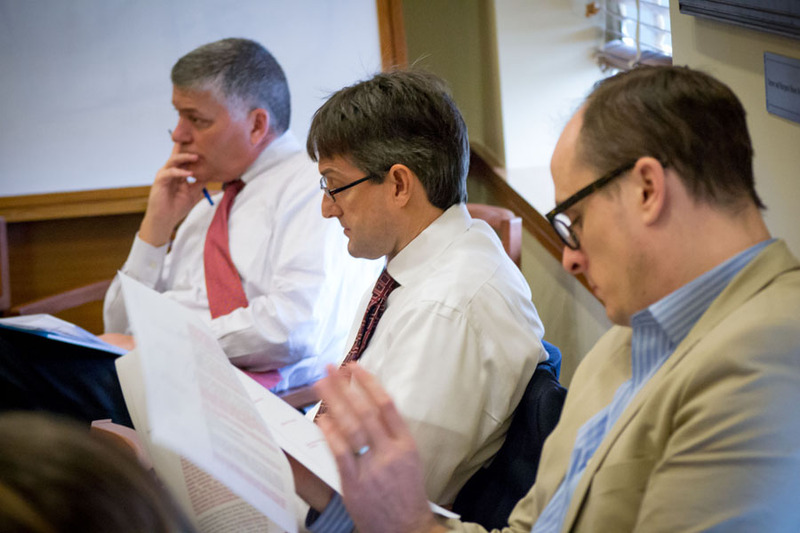 Baylor Law School has a record of producing outstanding lawyers, many of whom decide upon a career in public service. The Law School boasts two governors, members or former members of the U.S. House of Representatives and the U.S. Senate, two former directors of the FBI, U.S. ambassadors, federal judges, justices of the Texas Supreme Court and members of the Texas Legislature, among its notable alumni. 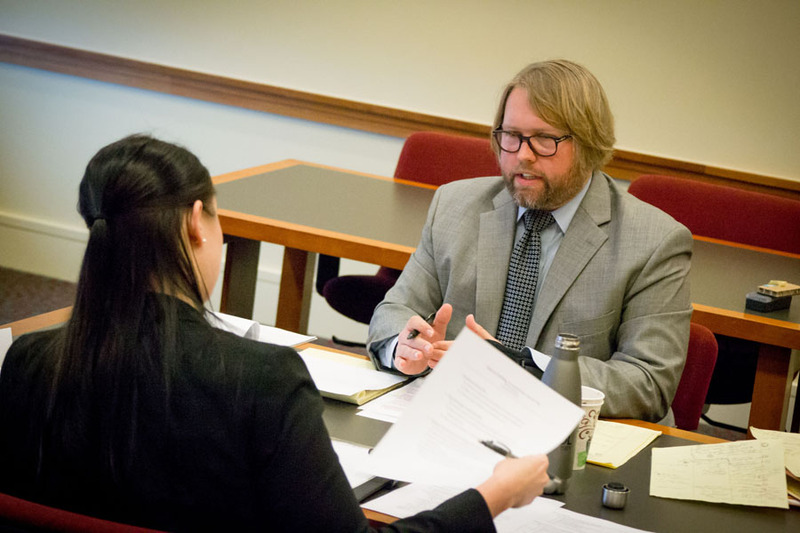 In its law specialties rankings, U.S. News & World Report ranked Baylor Law's trial advocacy program as #4 in the nation. Baylor Law School is also ranked #55 in the magazine's 2017 edition of "America's Best Graduate Schools." The National Jurist ranks Baylor Law as one of the "Best School for Practical Training," and #4 in the nation in its most recent "Best Law School Facilities" listing. The Business Insider places Baylor Law among the top 50 law schools in the nation. Baylor Law School received the 2015 American Bar Association Pro Bono Publico Award, making it only the third law school in the nation to be honored with the award since the award's inception in 1984.